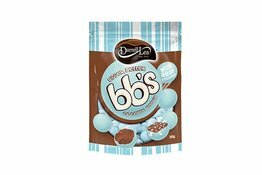 No need to be homesick any more, we source our chocolate from Australia and New Zealand, which means the freshest milk with the best sweets. 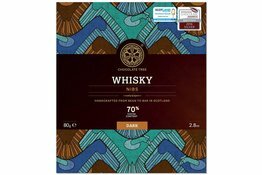 The chocolate is air freighted over every fortnight. 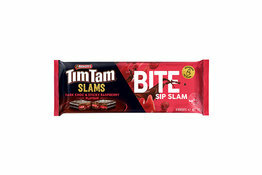 If you're from the UK, believe me, chocolates do melt in Australia, so try something new, they taste just as good. 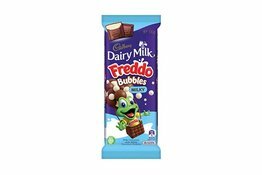 We have all your favourites, including Cherry Ripe, KitKat, Chocolate Tree, Darrell Lea Rocklea Road, Milky Way, Summer Roll, Honey Comb, Violet Crumble, M&M, Crunchie, Peppermint, Freddo, Jaffas, Milo, and more. 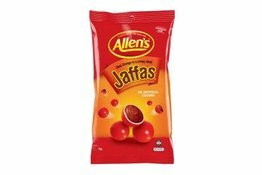 ALLEN'S Jaffas are chocolate balls covered in an orange flavoured shell. 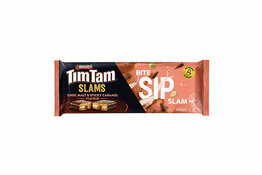 Bite into the crispy shell and let the choc orange flavour melt in your mouth. 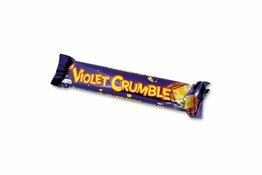 Contains no artificial colours. 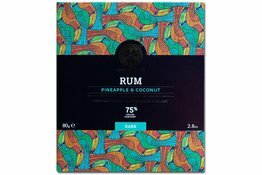 ALLEN'S makes smiles. 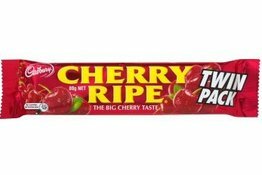 Cadbury Cherry Ripe is Australia's oldest chocolate bar that offers juicy cherries and moist coconut smothered in chocolate to ensure a unique taste experience. 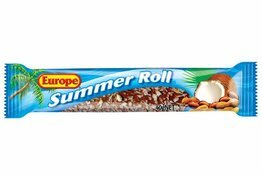 Take nougat, lightly roasted peanuts, coconut flakes and wrap it all in dreamy milk chocolate and you have something delicious – but now pass it through a ray of pure sunshine and beach holidays then you’ve got what can only be truly called a Summer Roll! 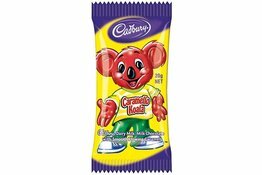 Munch your way through this Aussie classic - now large and in charge; the Giant Caramello Koala. 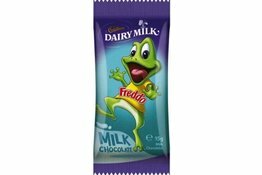 A Cadbury Freddo isn't just a cute and delicious treat, it's a piece of history. 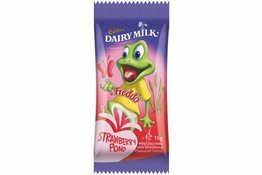 We're all too familiar with the classic Freddo Frog; but this Freddo boasts a sweet strawberry centre. 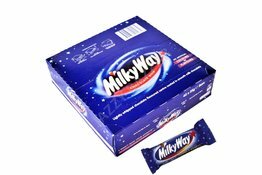 If you're looking for a lighter choice of chocolate, give these fun size Milky Way Chocolate Whip bars a try - perfect for sharing and a great choice for goody bags. 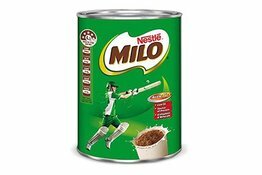 to provide sustained energy to keep you going for longer (When Milo and milk is consumed as part of a healthy diet containing a variety of foods). 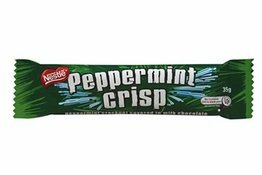 Peppermint cracknel covered in milk chocolate. 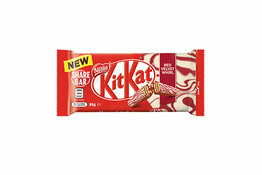 With UTZ certified sustainable cocoa. 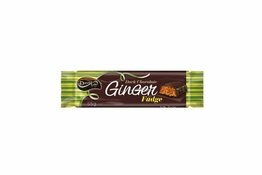 Honeycomb bar covered in milk chocolate. 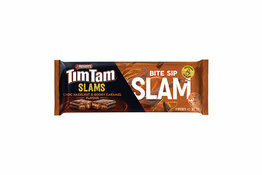 It's the way it shatters that matters. 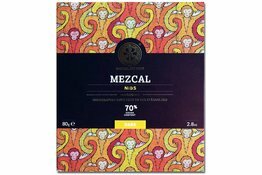 With UTZ certified sustainable cocoa. 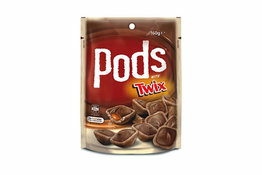 With a crunchy baked wafer that’s ingeniously shaped like a shell, a chewy peannutty Snickers filling and a delicious milk chocolate topping, Pods are the perfectly pop-able snack.